Richfield's Interiors was established in 1979. We are a family run business and have built up a reputation for exceptional products and superior levels of service. Our business has been built largely on recommendation, with many satisfied customers returning again and again. 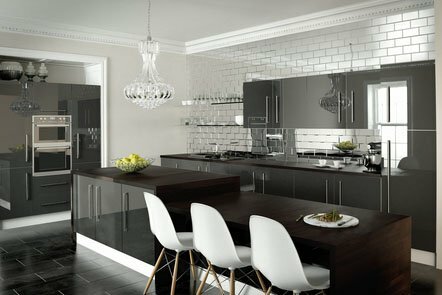 We bespoke kitchens suit all budgets with our bespoke kitchens from just £5000 and our bespoke bedrooms from just £2000! All of our products are designed and produced in our factory by our expert and highly skilled workforce and include fitted kitchens, bedrooms and offices all at surprisingly reasonable and competitive prices. We have a huge range of finishes from doors to worktops to taps right down to the finest detail. We want to make sure that when you have a bespoke interior from us you have everything the way you want it down to the finest detail, as all our interiors are custom built to your requirements. Here at Richfield's Interiors we offer the complete turnkey experience from initial Design through Manufacture and Installation to completion. Our teams are highly experienced and experts in their fields. As we manage the whole process from start to finish you can be sure that any issue are dealt with swiftly and you only have to deal with one experienced qualified team. We pride ourselves in offering a comprehensive service that all of our customers benefit from and enjoy, and as all of our bespoke products are made at our factory, when you buy from us you are guaranteed to make savings as you buy directly from our factory. We offer all of our customer peace of mind by only supplying bespoke and luxury products that are built to last and of the highest quality. Our friendly team are able to react to any changes that may be requested and we never compromise on service or quality. By using our own team of professional installers to co-ordinate all your fitting requirements (gas, electrics, plumbing, tiling, plastering), we manage the process from design and manufacture through to installation, ensuring a professional, hassle free service with the minimum of disruption and total peace of mind. 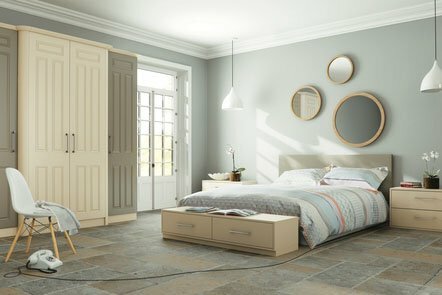 Come and visit our beautifully fitted showroom in Church Gresley, South Derbyshire and see our range of stunning furniture. Contact Us today to start planning your luxury kitchen and luxury bedroom today. 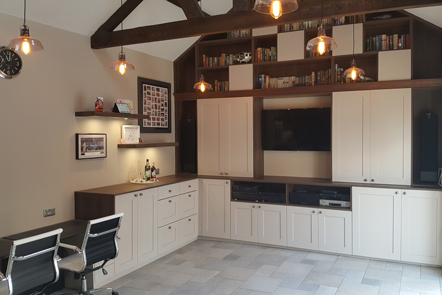 We will make use of extensive design and planning, and use only the highest quality of craftsmanship to design and create your dream bespoke interior and only use our highly qualified installation team to ensure the finest possible finish.